ReCore received its free Definitive Edition update yesterday. We can't show you the new content added in the game as the version we launched is still at the beginning of the adventure, but here is what the game looks like now in 4K on PC. I'm very confident in this game getting a sequel if the rumours about "champions" at MS are to be believed. It really deserves it because it has a solid foundation and if a team can build on it, it could become a great new IP so here's hoping! Downloading ReCore from the Windows Store now, was deciding between ReCore and XCOM 2: War of the Chosen, decided to go with ReCore because seems to be the quicker game to finish and I'm in the mood for an Action-Adventure game at the moment. Plus the price is at a really sweet spot, just $20, which makes it a very attractive proposition. The Definitive Edition upgrades also helped convinced me, there's a whole lot of them and many are very significant "Quality of Life" changes to make the game experience much better, which to me is more important than just adding new stuff like new weapons or new dungeons - no point in adding more stuff if the essential gameplay is still bad. Better to make the gameplay systems better and then focus on adding more stuff. Which I definitely appreciate Comcept did it. I will get XCOM 2: War of the Chosen at a later date. I was actually gonna try Destiny 2 today, but Activision's ilogical decisions - at least for me - made sure that didn't happen. So I'm giving ReCore a chance, hopefully the game is very good. 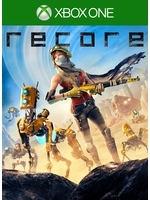 "ReCore received its free Definitive Edition"
great idea for them to polish up this game. a sequel would also be great too, with even more new enemies and areas. If Obsidian are to be believed, games getting the greenlight at MS need both a budget and a "champion" with I assume reputation to carry it to its release. 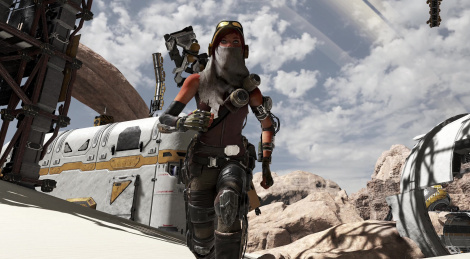 Recore was released last year a very unfinished game, and there is absolutely no reason for it to receive a free definitive edition upgrade beyond someone reputable believing in its existence.